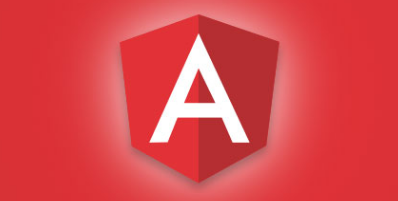 Angular’s custom Pipes can, really, achieve nearly any filtering you’d want. The idea of filtering with checkboxes means that you have discrete values associated with the checkboxes, when checked, and you want to compare those checked values against properties within an array of objects. Sounds straight-forward, right? The first hurdle is handling checkboxes in Angular. I decided to use an ngFor, and various bindings, for this purpose to display a list of checkboxes. You can see I’m using Angular Forms’ ngModel to find the checked property to my “filterItem” and mapping the [value] attribute to the filterItem’s value property. The attribute could be left out since all I’m really interested in knowing is whether the checkbox is checked. I’m also using an ngFor to display which filterItems are checked. I call a simple “checked” method that returns the checked filterItems. This uses the simple Array.prototype.filter method. The final part of the HTML mark-up is to display the list of items that is being filtered. You can see the filter signature in the mark-up. I’m passing in an object that will contain the filter keys, the array of checked items, and a boolean indicating whether AND filtering is applied. Using “and” probably doesn’t make a lot of sense unless there are multiple property keys with only a single checked item. Having multiple checked items with only a single property, obviously, would always return an empty filtered list. The filter itself doesn’t deviate much from the other filters I’ve written. The only major difference is that the checked array has to be reduced and the “checked.value” is compared against each item’s property key values. The Pipe has, like I mentioned, the additional some/reduce of the checked items. This is used to compare each key specified against the value of the checked item using simple regular expressions. The plunk below shows everything in action with a default “OR” matching. By default, if the checked items is empty, then all items are shown. Can you please create a similar example when we have filter it using a different set of check boxes ? To be clear for example there are check boxes for category and price range. I need to filter all categories in a particular price range. If I understand right, you want essentially a range check to replace the RegEx check, correct? Of course, this is making the assumption that you will add upper and lower limit properties to your comparison object(s). I added the “+” unary operator in case they are strings to convert to numbers.